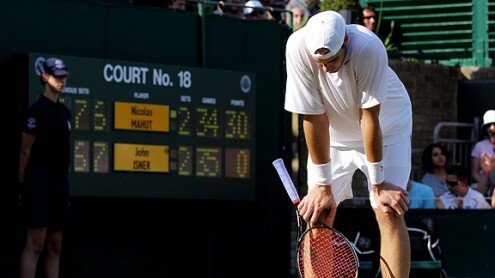 Apparently, the umpire wasn’t serious, John McEnroe. 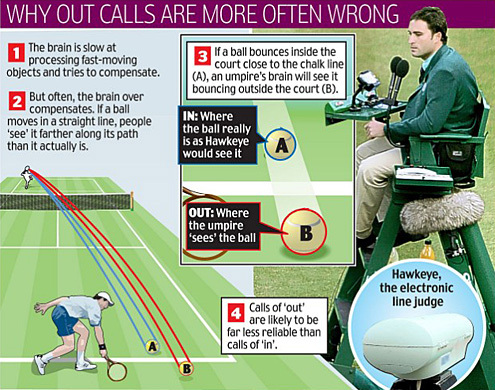 A new study of 4,000 points by The Daily Mail has found that tennis umpires overwhelming get “out” calls wrong, thanks to an optical allusion phenomenon. Who knew? The AP alludes to why: “By reaching the June 10 [French Open] final, Federer would play in his eighth major title match in a row, something no man has done. Not Laver. Not Pete Sampras. Not Bjorn Borg. No one.” Even then, Federer — who is only 25 — has already won 10 majors placing him number three on the list of male tennis players with most singles major championship wins, right above Agassi and quickly closing in on Sampras. Whether you like tennis or not, behold the most dominate athlete alive. He’s leagues better than Tiger or anyone else for that matter and may prove to be the best player in history. Amazing. 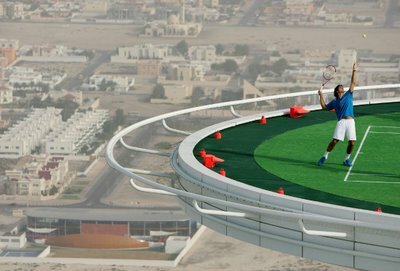 You build a customized grass/clay hybrid court for $1.63 million so Roger Federer (world #1 specializing on grass) and Rafeal Nadal (world #2 specializing on clay) can duke it out to see who’s best. Brilliant! This is tennis player Andy Roddick during a press conference after getting schlacked (even bageled) by super-human and world number one Roger Federer in the Australian Open semifinals. 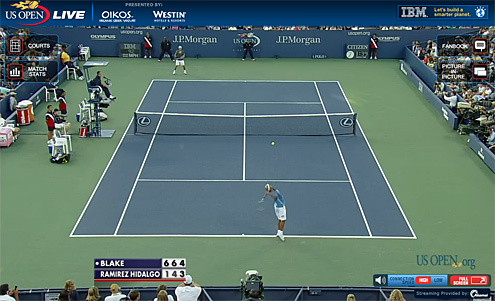 To set the stage, Federer owns Roddick. He now has a 10-1 winning record against the fifth ranked American. 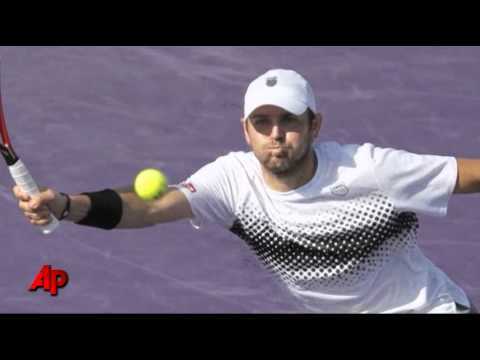 Despite this, Roddick has made several in-roads up to this point even beating Federer in a a warm up match just two weeks ago. But he may be competing against the greatest tennis player who has ever lived. Tough break. And though dropping some censored expletives during his post-game interview, Andy’s candor in defeat is admirably, likable, refreshing, and extremely funny. Well played (the press conference that is).